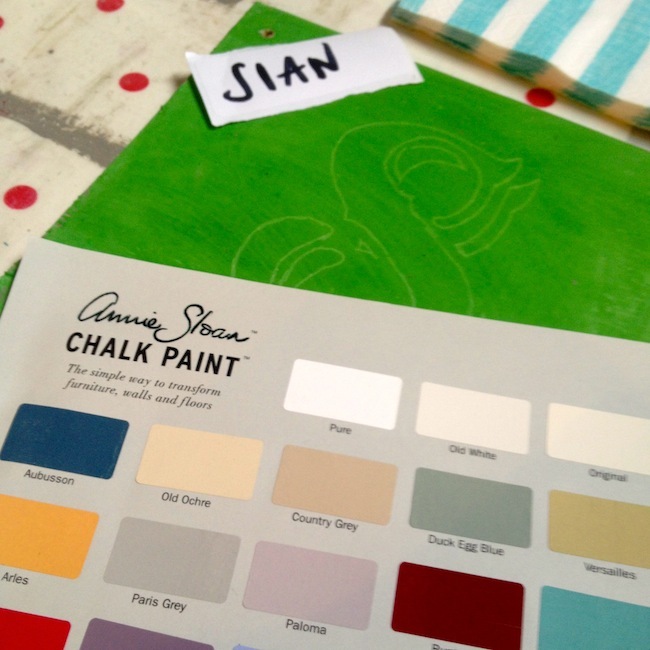 A proper, tech free day off is a real rarity for me lately but last Saturday I left my Mac behind and drove down to Home Barn in Little Marlow to spend the morning having fun at an Annie Sloan paint workshop. Home Barn is quite simply my favourite vintage destination right now. I'd actually just like to move in there and potter around re-arranging stuff as the mood takes me... but on this occasion, I was there to paint. My company for the session included two of my all-time favourite lifestyle bloggers, Will of Bright Bazaar and Natasha of Candy Pop Images as well as two of my best pals Claire of Bad-Fiction and Lizzie of Mummy in Manolos. We listened, we talked, we painted wall hangings, we drank gin (at 11am.... on a Saturday) and we giggled away. 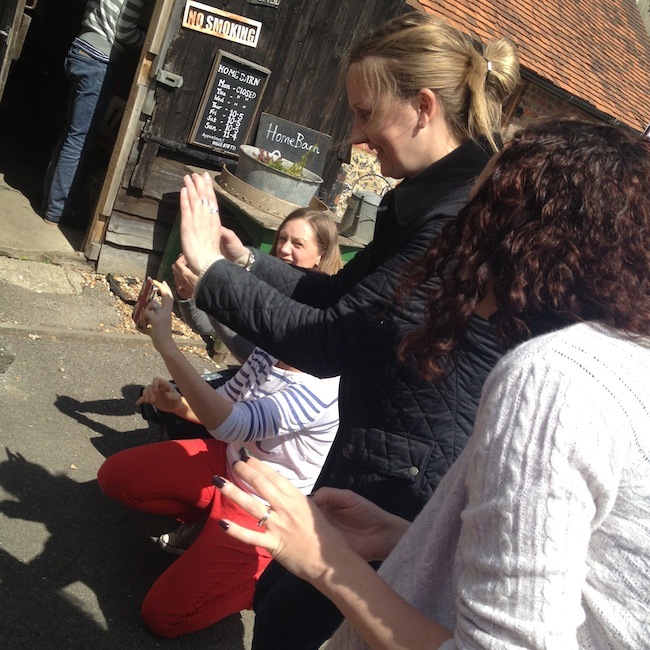 Then things got competitive - even though we were told that it wasn't a competition. 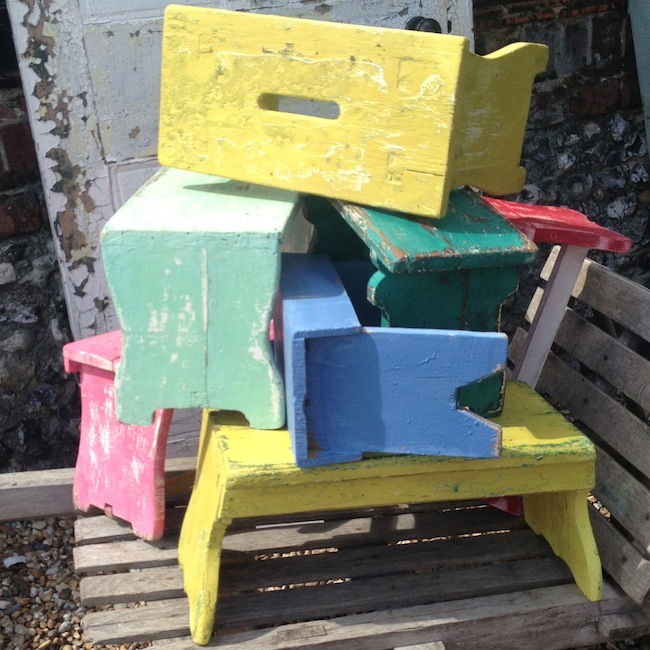 Give a blogger a vintage stool and a selection of paints and the pressure's on. Who was going to create a masterpiece? I went for yellow. Not sure why, as I don't have anything else that's yellow but it seemed like a good idea to me. We painted, sanded, aged, waxed and left to dry, before styling and shooting. The result. A pretty awesome pile of stools. Yes that's mine on the top. A very big thank you to the guys at Home Barn for such a fab morning and to Lizzie for being - well for just being Lizzie. Home Barn are showcasing their very first pop-up at Cybher™ on 1st June and Natasha of Candy Pop will sharing her expertise in the 'Living the Lifestyle Dream' session. There are a few Cybher™tickets still available - but only a few. I've already spotted our fabulous stools popping up on Bright Bazaar and Candy Pop. I think we will be seeing a lot more of them!